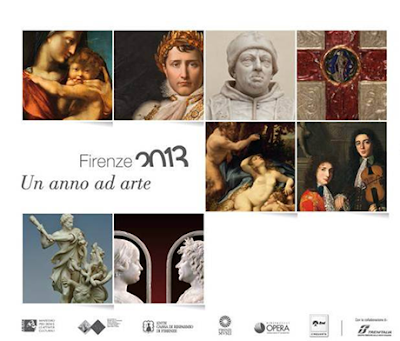 On December 20 2012 Dr. Cristina Acidini, the Superintendent of the Polo Museale Fiorentino introduced eight exhibitions planned across Florence's most famous museums in 2013. With many of the exhibitions of potential interest to 3PP readers, further details are provided below (adapted from a press release issued by the Opera Laboratori Fiorentini). 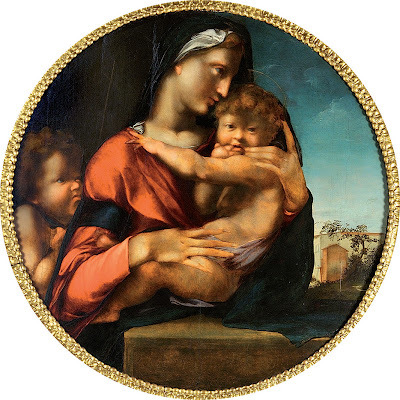 The Uffizi will start the ball rolling with an exhibition focusing on the intense artistic exchange between the most important Spanish painters and sculptors of the time - with Alonso Berruguete playing a leading role - and Florentine and Italian later Renaissance artists in the context of the style known as the early "manner", or Mannerism. Shortly after that, the Museo degli Argenti will be inaugurating an exhibition devoted to the first thirty years of production at the Ginori Manufactory in Doccia, a phenomenon of Europe-wide importance thanks to the intense exchange with French manufactories, and with Sèvres in particular, that was such a feature of the first 30 years of the 19th century. 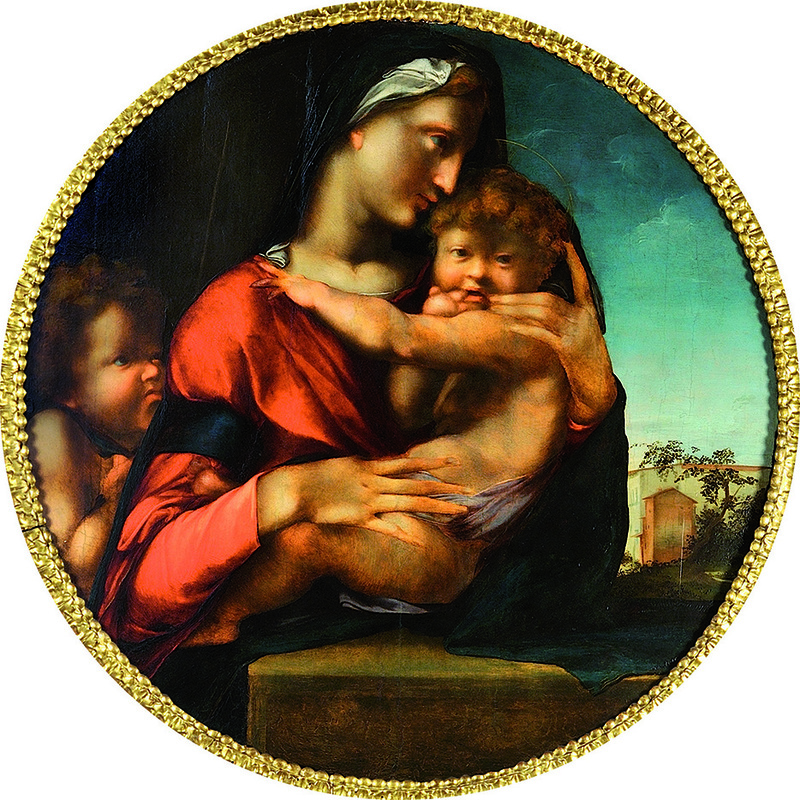 This exhibition held at the Museo delle Cappelle Medicee sets out to commemorate the crowning of the first Medici pope, Lorenzo the Magnificent's son Giovanni, exploring his artistic projects and his legacy both to his birthplace and to the places associated with his family, at a time of astounding cultural achievement in Florence and Rome. The Galleria dell’Accademia's retrospective adopts an unprecedented approach to the works of art commissioned from the 14th century onwards to adorn the public buildings in Florence that hosted the administrative magistracies, the ancient guilds or "Arti", and the offices tasked with overseeing the city walls. The leitmotif permeating this complex expressive genre, so rich in allegorical references to both the sacred and the secular, is the splendid workmanship of the master artisans involved and the beauty of the items they produced. In the Palatine Gallery at the Palazzo Pitti, this international exhibition organised in partnership with the Museé du Luxembourg in Paris, in which the public is invited for the very first time to explore the multi-faceted theme of dreams which played such an important role both in ancient mythology and in Renaissance culture. The revelation of a wholly interior world governed by different rules - ranging from the eccentric to the unlikely and the unreal - set artists a real challenge, to which they rose in a myriad different yet equally fascinating ways. Ferdinando de' Medici (25 June - 3 November). In the Polo Museale Fiorentino, which owes such a huge debt to the first grand ducal dynasty in Tuscany, there is plenty of material for not one but many exhibitions on Medici-related themes. This year the Galleria degli Uffizi will be celebrating Ferdinando de' Medici (1663-1713), collector and Patron of the Arts Less well-known than the grand dukes, this crown prince who never came to the throne embodied the patronage of the arts that was such a feature of the family at the highest level, showing an intense interest in, and a sophisticated taste for, the intense creativity of the Baroque style. His court's town and country life sparked major architectural changes and to numerous projects for artistic embellishment. The Museo degli Argenti returns to the scene with an exhibition featuring of fairy-tale objects magnificently carved, in particular by sculptors from north of the Alps, whose skill transformed this material of animal origin into an element of artistic perfection. Bas-reliefs, vases, cups and fanciful triumphs illustrate these artists' endless capacity for invention and their unparalleled mastery of technique. And finally, to mark the year dedicated to cultural exchange between Italy and Hungary, the Museo di San Marco is to host an exhibition focusing on the splendid season of 15th century Humanism at the court of Buda and on the powerful personality of King Matthias Corvinus, a keen lover of books and patron of the arts who was a personal friend of Lorenzo the Magnificent and who sourced his illuminated codices in Florence. The exhibition also investigates the many Florentines who flocked to Hungary, such as the mysterious "fat woodcutter" lampooned by Brunelleschi or mercenary captain Pippo Spano, and helped to strengthen the ties between the two Renaissance centres. The site is in Italian, and also mentions upcoming apps for IOS and Android which will include information in Italian and English. Wow, this list really brings home the value of a city like Florence, not just for the art that is already normally displayed there, but also for the quality exhibitions that people can enjoy year-round. I quite like the Italian mannerists but find the Spanish mannerist image a bit odd (too elongated)! It seems a wonderful line up of events for 2013. I often wonder why they are afforded so little coverage in English. We are fortunate in this instance to have English descriptions of the events. The exhibitions dedicated to the Medici, and the one on dreams have my interest - that Correggio form the Louvre is simply divine. This makes me want to travel to Florence next year! I especially would like to see the Baroque ivories show. There are so many museums in Florence which I failed to visit on my last trip, because my attention was consumed by the Duomo and Uffizi. I need to go back! Just today I learned about another Florence "collector museum" that sounds interesting, the Museo Horne. Have you been there? It is housed in a fifteenth-century palazzo. The original collector, Herbert Horne, published a very comprehensive and scholarly text on Botticelli in the early 20th century. Hi M! Thank you for the comment! Unfortunately, I never got to visit Museo Horne on my recent trip, which actually hosted an event at Florens2012 - there's always too much to do and such little time! There's also the Fondazione Roberto Longhi which has a version of Caravaggio's Boy Bitten by a Lizard. The Horne museum is a really charming place, worth a visit because it's a house museum and a fantastical 19th century interpretation of a mish-mash idea of the late medieval period. I hereby vow to review at least one said exhibit, and as I will soon publish on my blog, I will take votes and report on what people most want to hear, so let me know! Cheers Alexandra! Good news about the coverage, I know what I'm going to vote for! It's a shame the Longhi is aloof like that, I'm sure there are many who would like to go and see their museum, particularly that wonderful and enigmatic Caravaggio. 2. French Porcelain at Court and the Ginori Manufactory 1800 - 1830. Most art historians think of Italy and the fine arts, but I find it is the decorative arts that tell us more about the moving of taste from one country to another. Courts treasured their ivory, porcelain and gold/silver objects. Hi Hels! I wonder if some of this bias towards painters, architects and sculptors is on account of the overall elevated impression of these artisans given by Vasari?